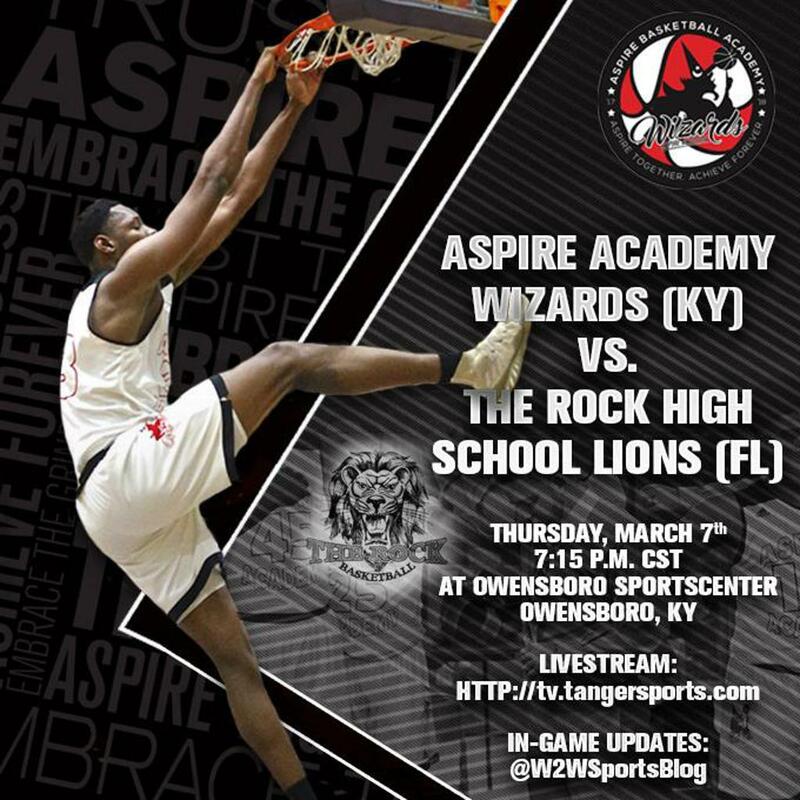 Following suit of the first two games, Aspire Academy and The Rock gave fans another exciting matchup and battled until the final horn to decide a winner. With a short bench for the game, Aspire Academy struggled early, but leaned on junior center Charles Bassey to pull out the victory in the closing minutes. Entering the game, The Rock's gameplan was clearly centered around containing Bassey. They executed that gameplan well in the first half and jumped out to an early advantage behind the play of junior point guard Bryan Greenlee and senior shooting guard Antrell Charlton. Greenlee was able to knock down an early step-back jumper that got The Rock out to a 7-2 lead and they continued to build on that for the remainder of the period. As time ticked away in the first half, The Rock maintained a seven-point lead with 55 seconds left until the break and were able to grow that lead to nine points just before the half. The struggles continued early in the second half for Aspire Academy, but Bassey and junior wing De'Sean Allen-Eikens were relentless on the offensive end and refused to be put out in the first round. Early in the second half, Aspire fell behind by ten points, but Allen-Eikens started to assert himself offensively and that made all the difference. Once Allen-Eikens began to attack the basket and use his strength to power through defenders for the finish, things opened up for Bassey inside. With 6:52 left to play, Aspire was able to gain their first lead of the game after a layup from Allen-Eikens. Yet, The Rock refused to go away and traded buckets and leads with Aspire Academy until the final horn sounded. Both teams were tied at 48 with 1:33 left in the game, but two points from Allen-Eikens with 47.2 seconds left was enough to give Aspire the lead and push them to a 53-48 victory. Bassey led Aspire Academy with 21 points, 15 rebounds, and 6 blocks, while Allen-Eikens added 19 points and 7 rebounds. Greenlee led the way for The Rock with 21 points, 2 rebounds, 2 assists, and 2 steals.